In his new blog, Benjamin Lancaster addresses issues of Faith, the Gospel, and the Arts. The topic for his first blog is the rash of Christian movies invading the market. What’s a Christian to do? As Christians celebrate the new religious awareness in Hollywood, we might do well to imagine that C.S. Lewis might know what he’s talking about. Only today, the way that the world is influenced is not books – it’s the movies. Hollywood seems to have a monopoly on our morals and worldviews. If you want to track how film can be used to change peoples’ minds on issues, don’t look to the big ones: Brokeback Mountain didn’t convince anyone to vote for gay civil unions. Do you know what did? Subtle reference. Positive portrayals of gay people. Think of the growing number of people who started supporting gay rights in the 1990’s. Now think of all the movies and television shows which sprang up in the 1990’s showing protagonists with gay or lesbian friends. Connection? As the gay lobbyists pushed for more representation, the media realized they couldn’t make fiscally successful films oriented toward homosexuality, so they put in the now stereotypical “gay friend.” It was less controversial. It snuck into our subconscious without our noticing it. Gradually, people begin to see gay people as perfectly normal. After all, who would deny marriage rights to their wacky next door neighbors? Subtly in art is often more effective than message films. Don’t get me wrong in this, issue movies can be very powerful. There are a handful of “Christian” films which are excellent and worthy of being viewed by the general public. To End All Wars has a tragic beauty. Luther is captivating, even if it is a little propagandic. And I dare someone to sit though The Hiding Place without getting a little verklempt. Notice a common trend among these films? They all are about Christians trying to live out their lives, faced with hardship. They are honest, sometimes brutally so, and are not afraid to show the dirt behind the people. These all happen to also be historical, which may make adaptation into more honest films easier. 20th Century Fox took a good long look at The Passion of the Christ. “Hmm,” thought some executive. “Christians have money.” That’s right, Christians do have money. And, surveys tell us, they occasionally spend it. Then this bright young executive put a few thoughts together. “If we made movies Christians liked,” (his brain was really on fire now) “we could get some of that money.” Bingo! It took them a few years, but 20th Century Fox put together what the several people have called the most blatant Christian marketing to come from Hollywood since Cecil B. Demille thought the Old Testament might be some good fodder for a few epics. It’s called FoxFaith and it’s planning on releasing about a dozen films a year explicitly for the Christian market. So we have to sit back and ask, is this a good thing? Well, the obvious answer is yes. How could anyone doubt that more Christian movies won’t positively change the world for Christ, won’t bring in legions of converts in droves whom preach and teaching can’t reach? Part of me says “Yes! Christian movies will be great! I can show them to my non Christian friends!” The other part of me is more realistic. Some of these FoxFaith movies will be released straight to Christian stores, some will enjoy limited release in areas deemed to be fiscally religious enough, and a select few will bask in the wide release of your standard Hollywood film, I don’t hold out much hope. 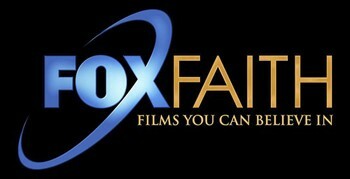 Their website (http://www.foxfaithmovies.com/aboutus) states that “To be part of Fox Faith, a movie has to have overt [a.k.a. not latent] Christian Content or be derived from the work of a Christian author.” What about subtle Christian messages or elements of the Christian worldview? What about excellence in filmmaking? Hollywood influences people. Hollywood wants to make money off of Christians. The Christian movies Hollywood produces are not meant to be influencing people. They are meant to make money. Christians are supposed to influence people. So how do we respond to the films Hollywood is making? Christians will get along with Hollywood only when we become biblical in our response to an unchristian culture. Jesus cleaned his own house with violence and zeal (John 2), and Paul cleaned the pagan temples with sound logic, good reason, and patience (Acts 16). A mainstream movie about a “normal” topic, with a Christian best friend who loves his neighbor, and whom everyone loves, will subtly influence the culture more than a dozen FoxFaith films. Encourage such portrayals. More “Christian” films won’t change the world. Christian filmmakers, living lives of excellence, committed to perfecting their craft, their stories, and their walk with God just might.